I’ve spoken many times about my love for the combination of mint + chocolate. As a child, mint chocolate chip ice cream was my favorite, and as an adult, I still loooove that flavor combination. There are no shortage of chocolate-mint recipes on here (like these Andes Mint Chip Cookies, No-Bake Chocolate Mint Bars, Peppermint Patty-Stuffed Brownies, + even a Mint Chocolate Chip Cocktail) but that didn’t stop me from wanting to make another new recipe to share with y’all! 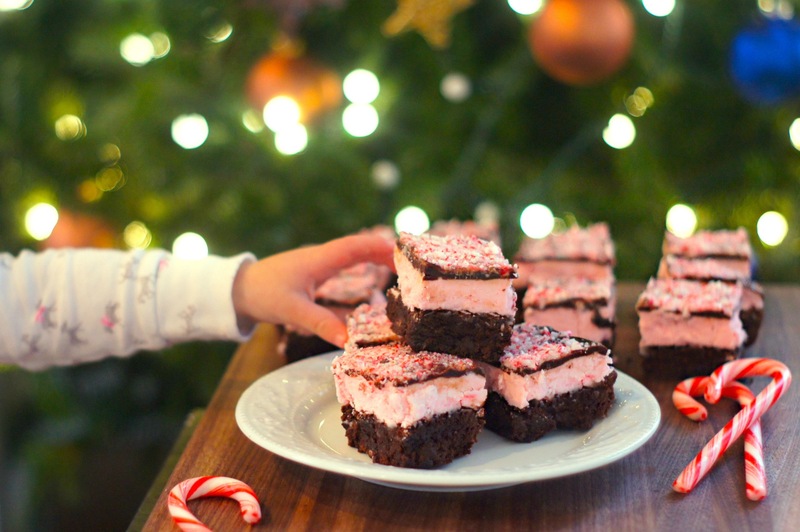 With Christmas just around the corner, I thought I’d give a chocolate-candy cane recipe a try, and I’m so thrilled I did – these Peppermint Candy Cane Brownies turned out amazing! These were a huge hit in our household (as you may have guessed from the sneaky Fearless Baby hand pictured below. =) They are definitely going to be a regular on our holiday dessert table! Make the brownies: (Note: If you using a boxed brownie mix instead, hop down to the ** + proceed from there.) Preheat the oven to 325 degrees Fahrenheit with a rack in the lower third of the oven. Line an 9-inch square baking pan with two criss-crossed pieces of parchment paper or foil, leaving a 1″ overhang (for easy removal of the brownies). Grease the parchment paper/foil. Brown the butter: Melt the butter in a medium-sized saucepan over medium heat. Continue to cook the butter, whisking constantly, until it’s pale golden brown and the particles suspended in it are reddish brown, about 10 minutes. Remove the pan from heat and stir in the sugar. Then add the cocoa powder, sea salt, and baking powder. Stir until the ingredients are thoroughly incorporated. Let the mixture cool for 5 minutes. Spread the batter in the lined pan, then use a knife to make light swirls in the top of the batter. Bake on the lower rack for about 25 minutes, until a toothpick inserted in the center comes out almost clean. **Cool the brownies in the pan on a baking rack. Let the brownies cool COMPLETELY before proceeding to the next step. Make the peppermint frosting: Combine all five frosting ingredients listed above, and beat until light and fluffy. Add more milk a teaspoon at a time, as needed to get the frosting to the ideal thickness. Spread evenly over cooled brownies and place in the refrigerator to chill while you prepare the final step. Make the chocolate glaze: Place chocolate chips and butter in a microwave-safe bowl. Microwave in 30 second intervals, stirring in between, until just melted and smooth. Set aside to cool for about 15 minutes, stirring occasionally, and then quickly spread on top of brownies. 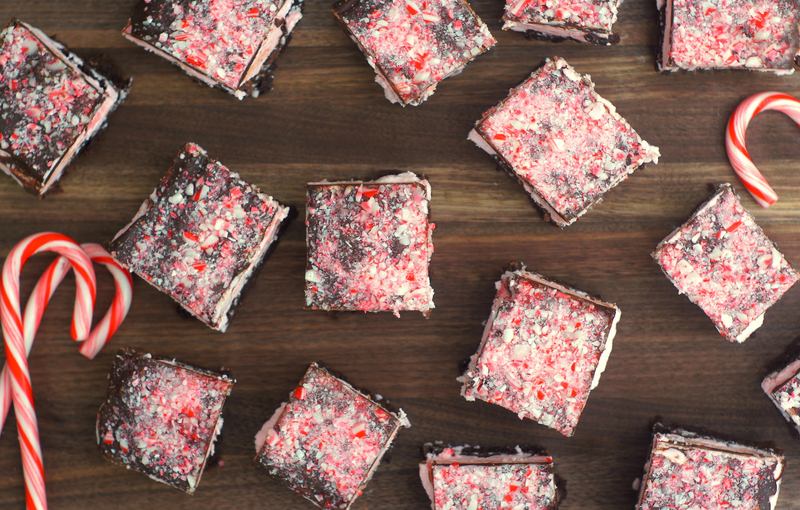 Sprinkle the crushed candy canes on top of the glaze, and return to the fridge to fully cool. When chocolate has hardened, use the edges of the parchment/foil to remove the entire sheet of brownies from the pan. Cut into 16 squares (or 25 squares , if you want bite-size) and serve. Ooh .. love the brownies, and love the fearless baby hand! What a gorgeous Christmas treat. oh wow! There brownies are amazing! I love them! I’ll definitely bake ones for Christmas! Oh my gosh those look awesome! Mint & chocolate is my favorite combo. I’m so making these! Just ate one and – woah! These are right there at the top with the no-bake chocolate mint bars you shared (and linked above) – so so SO good. Rich and decadent and perfectly balanced between mint + chocolate. New faaaaavorite! Awww, I’m SO thrilled you liked them, friend! =) Thank you for being such a fab taste-tester. These look like my dream brownies!! Oh my goodness@! Those are gorgeous. I love the flavor combo of chocolate and peppermint. These look delightful! Best wishes for a wonderful Christmas season. Let the baking begin! You outdid yourself on this one. So be u ti ful! Doug would flip for these because he is a peppermint fanatic. I just love chocolate + peppermint, especially at this time of year. 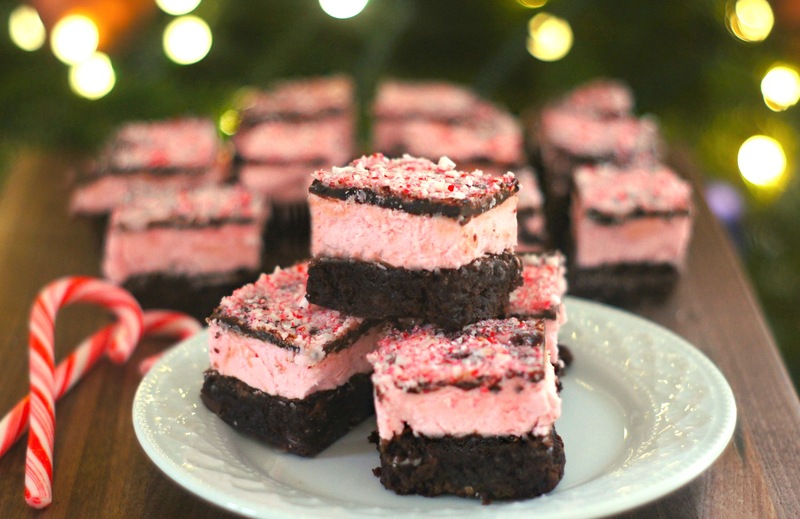 These brownies look so pretty and festive with the layers! I bet they are super tasty as well. ZOMG I was looking for a recipe for these brownies! Definitely using yours, they looks so incredible! These look so amazing and festive! I figure you can use any type of chocolate chips you want for this, but did you use semisweet or milk when you made them? Good question! I used semi-sweet. =) I’ll update the recipe to reflect such, too. Thanks! These are so good. Like a York peppermint patty and a brownie had an amazing beautiful baby. These are dream come true brownies! 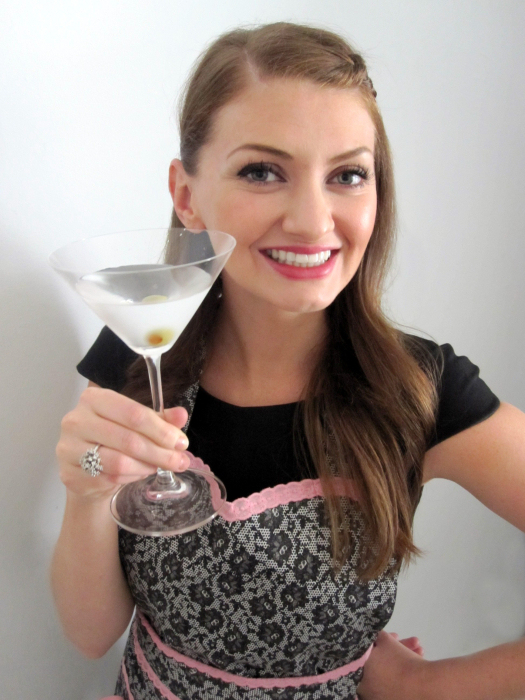 Might have to make these for a holiday party next week! Next post: Top 10 Recipes of 2014!